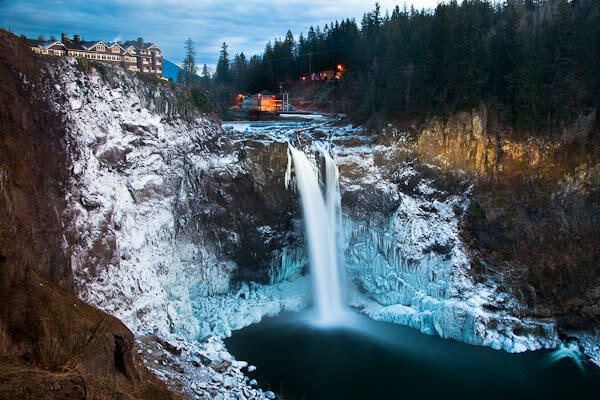 One of Washington State's most popular scenic attractions, Snoqualmie Falls is a 270 foot waterfall surrounded by a two-acre park, with an observation deck, gift shop, and the Salish Lodge. This is by far the most famous waterfall in Washington, receiving more visitors than almost any other single natural feature in the state. 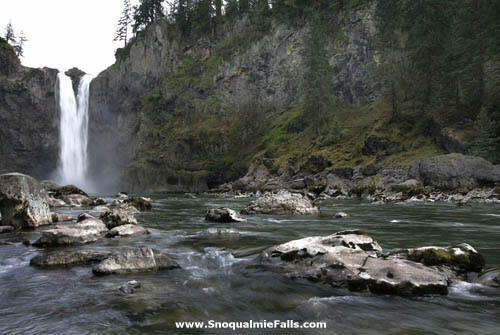 There are several very good views all along the gorge rim, and there is a steep 1/2 mile trail to the base of the falls. During high water, the falls take on a Curtain form. 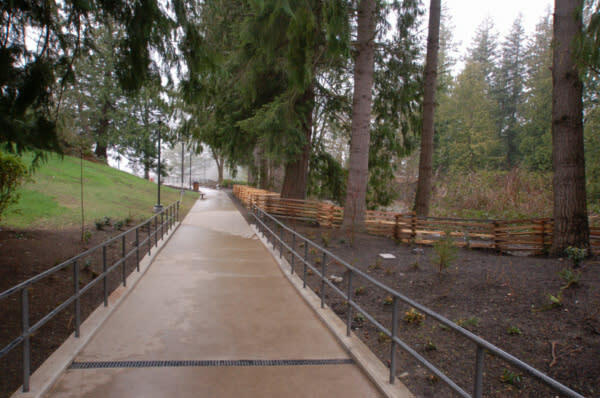 There are two ways to get to the falls; the first is as follows. 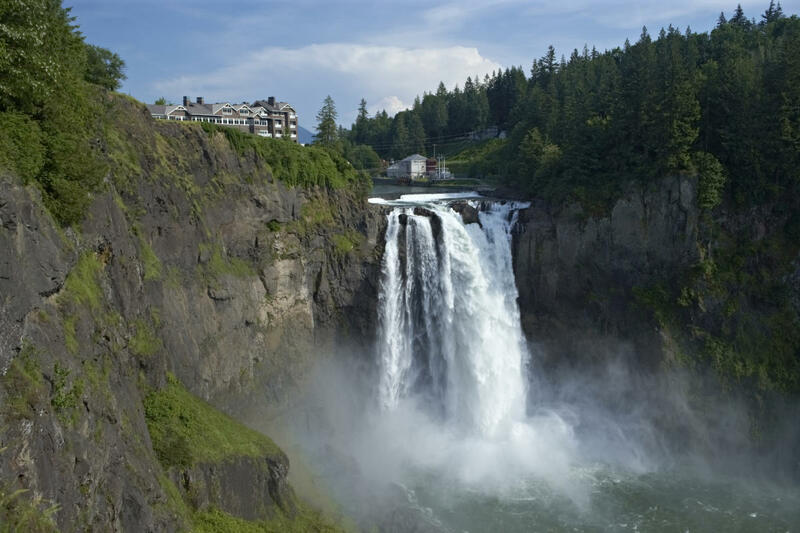 Drive east on I-90 to the signed exit to Snoqualmie Falls, and follow the road to Highway 202 in North Bend. Turn west on 202 and proceed to the falls, which are very well marked (the route from 90 to the falls may be signed all the way, but I'm not sure). 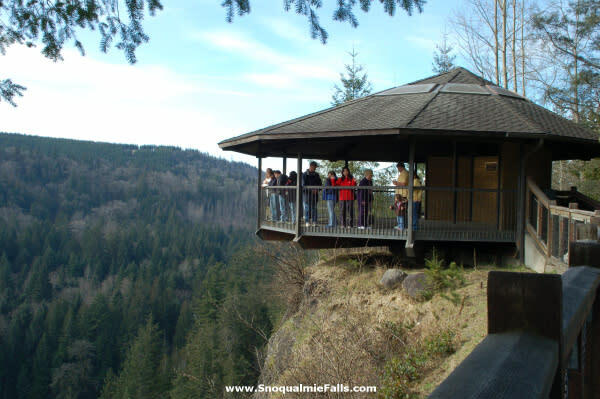 The second way is drive east from Redmond along Highway 202 to Fall City, then cross the Snoqualmie River and proceed along 202 to the signed park and Falls in another 2.5 miles. 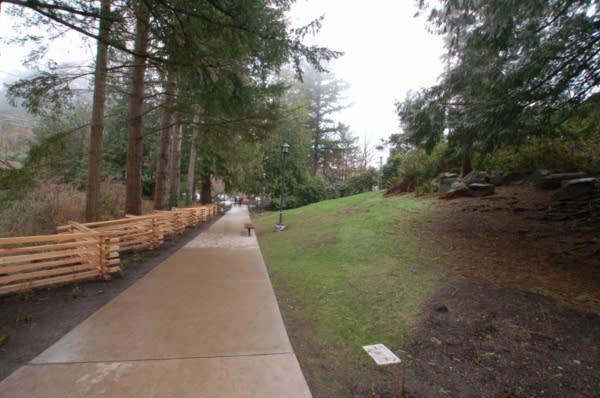 Walk about 50 feet from the parking lot to the vista house.